Cheapest G-Sync monitors is a term that somewhat contradicting or fictitious because these brilliant products are more expensive than their counterparts. If you are a Nvidia GPU user, the extra premium these gadgets command is well worth it based on experience. The smoother frames while playing on ultra settings is an experience that maximizes the value and power of your Nvidia-based gaming rig. G-Sync is a hardware-based version of Adaptive Sync which manipulates the screen’s VBLANK or Vertical Blank interval. This term stands for the instance between when a monitor renders a frame and the start of the next frame. 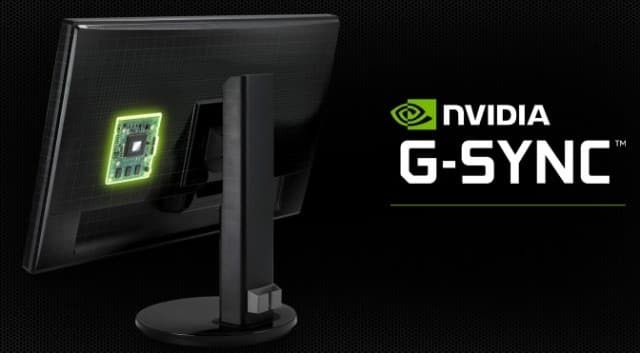 The G-Sync module in a certified monitor holds the graphics card’s output to wait until the screen is once again ready to accept the next frame. The built-in proprietary module stores the previous frame in the included 768MB of DDR3 memory. This process also decreases input lag to keep your monitor snappy and responsive when G-Sync is active. However, the added process does incur a minor performance penalty of around 2%, which in our opinion, is too little to be noticeable. All of this magic keeps your game’s frames and your G-Sync monitor’s refresh rate synchronized to eliminate tearing and stuttering which usually happens when FPS drops. The resulting benefits such as fluidity and smoothness of motion are instantly achieved even if your GPU isn’t powerful enough to maximize your monitor’s refresh rate. It’s difficult to describe in words, but once you go G-Sync, you will never go back. However, the biggest downside of G-Sync is the added costs which total to around $150 to $200 at retail. The proprietary control module, certification, and licensing all contribute to this premium which elevates G-Sync monitors to a more expensive price bracket. But the bottom line is that G-Sync is well worth its cost, especially for high-end gaming where gamers have no choice but to go to Nvidia and their GPUs. G-Sync does not function with AMD cards and Intel IGPUs, so users might as well fork out the extra cash to achieve buttery smooth visuals. It’s not the most practical shopping choice, but that more or less two hundred bucks is easily forgotten once you start enjoying this technology. “Cheap” G-Sync monitors are still quite expensive when compared to a similar-spec FreeSync variant, but there are some affordable options if you want to get in on the action. If you want to enjoy silky smooth graphics from your Nvidia GPU, these are your best bets without forking out too much of your hard-earned cash. The Acer Predator is the overall cheapest G-Sync monitor. It has a TN panel that can boost its 144Hz native refresh rate all the way up to 180Hz for faster and blur-free gaming. This model has been a staple of global E-Sports events for its excellent performance in both responsiveness and imaging qualities. The TN panel isn’t as vibrant as an IPS or VA screen, but it’s lightning fast pixel response time is a must for competitive and fast-paced gameplay. The XB241H is a great option if you want to dabble in E-Sports gaming with G-Sync without breaking the bank. You can commonly find this model on Amazon for around $350 bucks which are a price point G-Sync monitors rarely touch. If 180Hz isn’t enough, then the next candidate is the Acer Predator XB252Q which is the upmarket sibling of the XB241 above. This model builds on its predecessor’s success as one of the premiere E-Sports G-Sync monitor with its upgraded 240Hz native refresh rate. 240Hz is overkill for home gaming, but E-Sports fanatics and enthusiasts will appreciate the improved fluidity and blur reduction properties of this monitor. 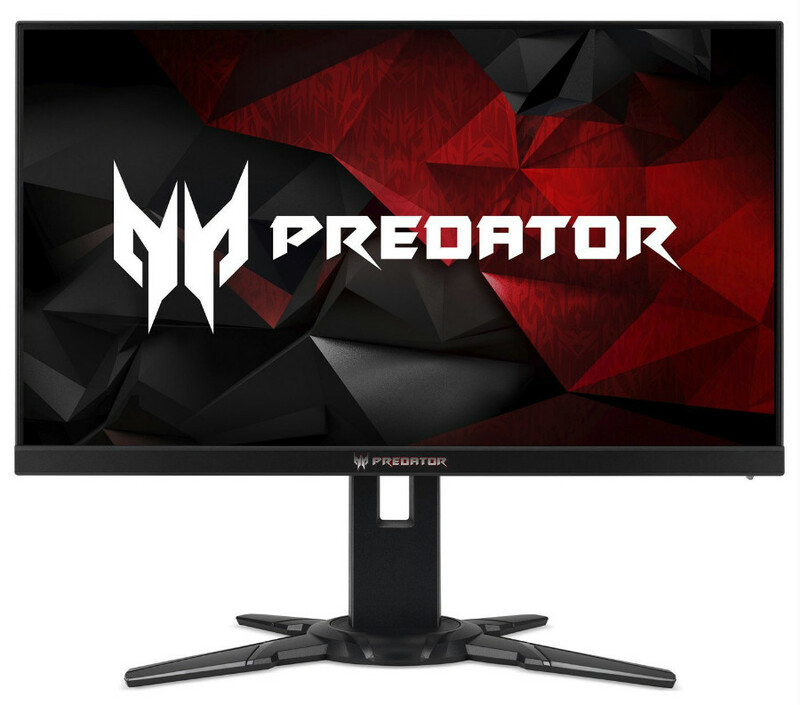 240Hz monitors are considered premium when it comes to monitors in general, but we included the Acer Predator XB252Q for those who want the fastest monitor without overspending. You will normally find this model at $450 to $480 which is around $10 to as much as $100 cheaper than the next competitor. The Dell S2716DGR is the consistent value king when it comes to the cheapest gaming monitors for its upscaled 2560 x 1440 resolution. QHD is the current mainstream for high-end gaming when 4K is out of reach due to GPU limitations, making this monitor a perfect pair for mid to high tier cards like the GTX 1070. This product’s wolf in sheep’s clothing aesthetic is a favorite among the masses due to the subdued design which looks cleaner than its gaudy counterparts. 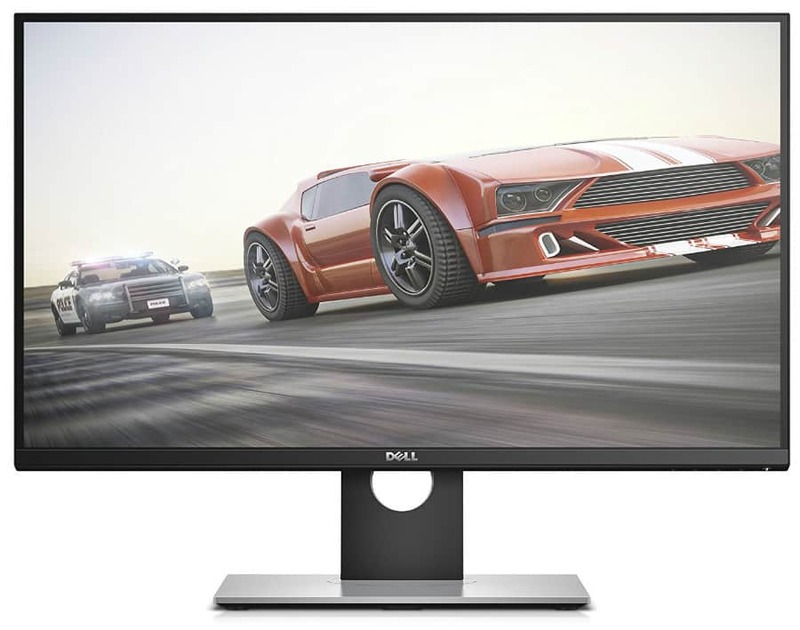 If you are coming from a 1080p display and what more eye candy, consider the Dell S2716DGR and its 1440p resolution which is priced at around $400 to $450 SRP. The upgraded crispness and image details feel like robbery since anything comparable costs $600 or more. 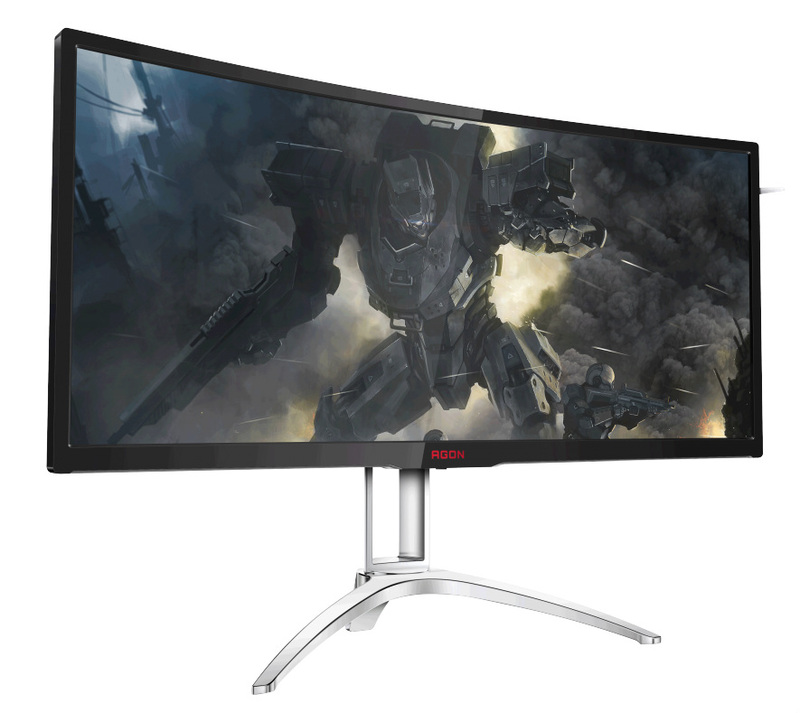 The AOC Agon AG352UCG is a unique G-Sync ultrawide at a time when other 100Hz ultrawides opted for IPS instead of MVA panels. This cheapest G-Sync monitor for ultrawides combines excellent visual qualities of VA technology and a responsive performance brought about by its 100Hz refresh rate and G-Sync to immerse gamers. The 34-inch diagonal and 1800r curve needs to be experienced before you dismiss it as merely a marketing gimmick. If you are looking for a UW-QHD G-Sync monitor without spending a grand or more, the AOC Agon AG352UCG is your best bet. Currently, this metal stand-toting option averages at $800 when everything else costs at least $900 or more. 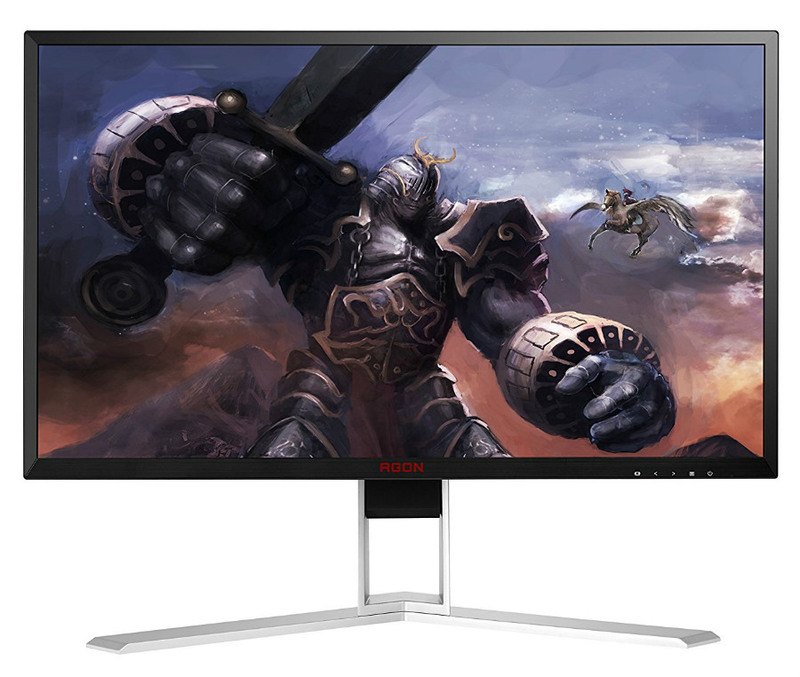 If you are waiting for 4K 144Hz monitors like the Asus PG27UQ but unwilling to sacrifice high resolutions for an upgrade, the AOC Agon AG271UG is probably the practical stop-gap you are looking for. The 27-inch IPS panel provides excellent vibrancy and sharpness perfect for high-end gaming while its G-Sync module takes care of the jitters associated with 4K graphics. This model only goes up to 60Hz, but feedback from our readers suggest that the superb details of UHD are more crucial to the visual experience than a high refresh rate. Right now, the AOC Agon AG271UG is the cheapest 4K G-Sync monitor currently available in the market. The Acer Predator XB281HK closely follows at its $500 price point for around $50 more, which isn’t worth when you consider their nearly identical capabilities. G-Sync monitors still can’t be considered affordable when the entry-level option starts at $350. However, these prices already considerably dropped from their original SRPs, making them easier to own now. 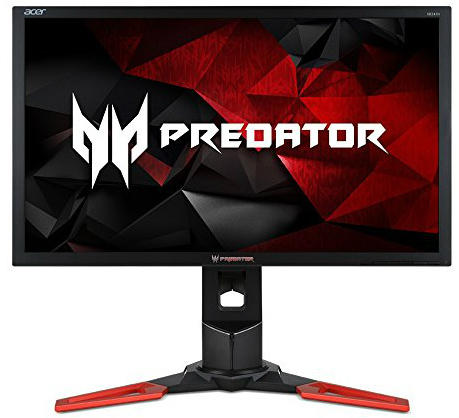 It’s also worth noting that when you dissect the pricing for the models like the $350 Acer Predator XB241, its almost like you are getting a 144Hz E-Sports monitor for $150 if G-Sync costs $200. That is an absolute steal of a deal if you ask us, since a 144Hz variant with no G-Sync costs at an average of $250. The bottom line is G-Sync monitors and the term cheapest still don’t mix, but there are available options if you want to enjoy the tech while spending as little as possible. Note: If you want to check out more fantastic G-Sync monitors, check out this guide. There I nothing under 200 and i’ve seen some under 200. Hi, Ulices! There is currently no G-Sync monitor on the market that’s on sale for $200 unless it’s on sale. It’s a widely known fact that G-Sync costs more or less $200 on top of the actual product’s price or when compared to a FreeSync-based variant.